Sure, Ford is having a big day what with the reveal of the all-new Fusion and its various and sundry trims, as well as the announcement of FordPass and other new technological innovations. 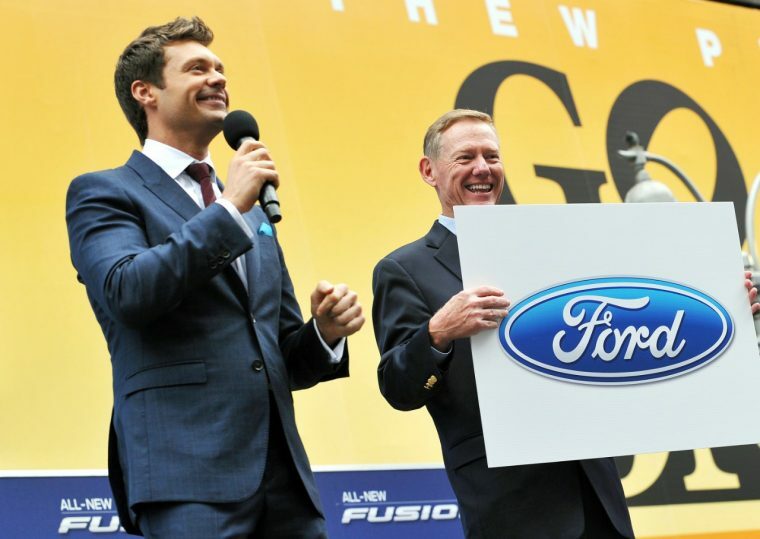 But let’s get down to brass tacks here and talk about the day’s real big Ford news: the extension of the automaker’s partnership with Ryan Seacrest. Variety reports that Ford and Seacrest, who have been collaborating since the earliest days of American Idol, are extending their partnership another year more. With the conclusion of the talent-search show on the horizon, this means that Seacrest could carry this relationship over into any subsequent roles he takes. Seacrest is the current face of the annual ABC New Year’s Eve celebration, and he is also endorsed by Coca-Cola. How positively American!